The success of Turco Golf depends on great people working together – a combination of skilled leadership and unwavering teamwork. Our work offers many joys, among them is involvement in "The Best" golf course construction company in the industry. Turco Golf Inc. specializes in a wide array of heavy construction services. With core competencies building and managing new golf course construction projects, golf course renovations, athletic fields and sports complexes, Turco Golf Inc. is a certified Public Works Contractor and licensed to work publicly and privately in the ti-state area, New York, New Jersey & Connecticut. Turco Golf Inc. has proficiencies in site work, drainage, paving, excavation and many other heavy construction trades. With a large fleet of construction equipment and vehicles, Turco Golf Inc. has the resources to complete major construction projects of large scope and size. Click here to learn more about our services. 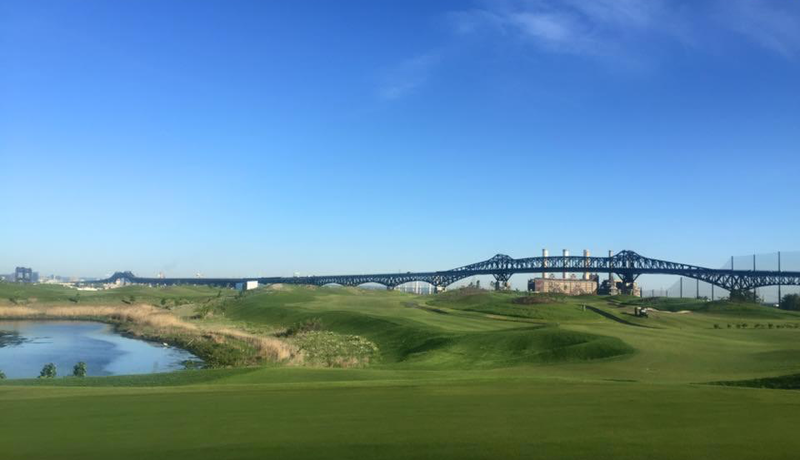 Turco Golf Inc. excels in the successful completion of a variety of construction projects and services for public and private clients located in the ti-state area: New York, New Jersey & Connecticut. Click here for a list of some of our past completed projects. Interested in our current projects? Click here for a listing with details about our ongoing construction projects. Do you want to join a team of construction professionals dedicated to building the some of the finest golf courses and construction projects in the ti-state are (New York, New Jersey & Connecticut)? Click here to submit an employment application and review current job openings and career opportunities at Turco Golf. NEPTUNE, NJ – The Monmouth County Park System has awarded an extensive bunkers and tees renovation project at the municipal 18-hole Shark River Golf Course to Turco Golf Inc. of Pompton Lakes, NJ. The project calls for bunker improvements to holes 6, 7, 8, 15 and 16, as well as new tees at hole 16. The project aims to build on recent course improvements by the Monmouth County Park System. TOTOWA, NJ – The historic Dey Mansion Museum property is undergoing a garden restoration project. The project scope calls for removal of the site’s existing furnishing, garden ornamentation, paving, shrub plantings, and soils. The garden will be fully restored with new tree plantings, shrubs and flower beds. New pedestrian walkways and benches will also be installed. DERBY, CT – After several years of planning, construction is set to begin on the Derby High School Athletic Facilities Renovation Project located in Derby, CT. The project scope calls for removal of the school’s existing athletic fields and facilities, and the installation of a new synthetic turf athletic field and natural grass softball field. CLINTON, CT – One of the oldest golf clubs in the nation is getting a face lift. Turco Golf recently began renovations at Clinton County Club located in Clinton, CT. The project includes bunker restorations for holes 10 through 18 and a tee box renovation at hole 13.